Toothaches always get worse on Friday night right before the weekend. Waiting to care for a sore tooth may leave your Phoenix dentist saying things like “I wish you had come to me sooner.” Even with all the various causes of mouth concerns, a toothache sends a simple, clear message: get it checked! 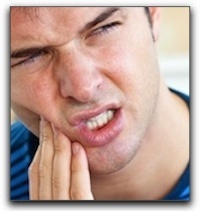 If you wait, the cost to treat it may get more expensive as the pain gets more extensive. Affordable dental care is available at Harris Dental in Chandler. Call Harris Dental now for a straightforward yet critical consultation. Mouth pain is never “normal.” The dental team at Harris Dental expertly treats the causes of mouth pain including cavities, gum disease, broken crowns, mouth sores, and bite issues. Let us take care of you and you will quickly be back to pain-free eating and grimace-free speaking. Harris Dental is also well-versed in all things cosmetic dentistry can offer. Cosmetic dentistry in Chandler, Arizona creates confident smiles, a stronger face-to-face presence, and a clearer presentation of the real you. It’s easy to schedule an appointment for cosmetic dentistry. In our Chandler cosmetic dentistry office, patients who want teeth whitening, porcelain veneers, or CEREC same-day crowns are given exceptional, first-rate care. Book a consultation for any dental implant questions, emergency dentistry questions, or veneer information. Harris Dental offers superb dental wisdom when it comes to Invisalign clear braces, sedation dentistry, cosmetic dentistry, CEREC same-day crowns, and dental implants. Don’t wait to get in to our Chandler family dental practice when a tooth demands your attention.